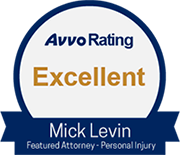 We help victims of professional negligence obtain their rightful compensation. Our attorneys are highly trained in this area of the law. We work hard on your case so you don't have to. Below is an example of one case we took to the Arizona Supreme Court. On July 9, 2015 the Arizona Supreme Court issued its opinion in Wilks v. Manobianco. The issue in the case was whether an insurance agent's compliance with Arizona Revised Statutes 20-259.01, which requires insurers to offer uninsured motorist (UM) and underinsured motorist (UIM) coverage to insureds, precluded a negligence claim against the agent for failure to procure the UIM coverage requested by the insured which the agent agreed to procure. The Court held that compliance with the statute, including the insured's completion of a form rejecting the UIM coverage, did not bar the professional negligence claim against the agent. The Supreme Court's opinion affirmed the opinion issued by the Court of Appeals in July of 2014. Under Arizona Revised Statutes 20-259.01, insurers must offer uninsured motorist (UM) and underinsured motorist (UIM) coverage to their insureds and may prove compliance by having their insureds sign a Department of Insurance (DOI) approved form selecting or rejecting such coverage. Arizona Supreme Court Oral Arguments - Insurance agents who write auto policies may be exposed to malpractice lawsuits. In 2001, Lesley Wilks contacted the John Manobianco Insurance Agency, Inc. seeking a "full coverage" insurance policy for the two vehicles she and her husband owned. The Agency procured a policy for the Wilkses through State Farm Mutual Automobile Insurance Company that included uninsured motorist (UM) and underinsured motorist (UIM) coverage. In 2003, the Wilkses switched to another insurer and obtained a policy that also included UM and UIM coverage. In 2004, unhappy with the service they had received from the other insurer, Lesley contacted the Agency. Accordingly to Lesley, she told the Agency she "wanted the same insurance back․ I asked for the exact same coverage that I'd had previously, full coverage," which would have included UM and UIM coverage. In response, the Agency told Lesley "they would give me the exact same coverage I had before." Lesley then went to the Agency's office and was "passed a bunch of documents" and asked to "[s]ign here, here, initial." The documents included an Arizona Department of Insurance-approved form (DOI form) that set out options for the selection or rejection of UM/UIM coverage. Lesley signed but did not look at the DOI form which had been marked to select UM but not UIM coverage. As before, the Agency procured the insurance through State Farm. The State Farm policy provided UM but not UIM coverage. In September 2008, an underinsured driver rear-ended Lesley. State Farm denied Lesley's claim for UIM coverage because she had signed the DOI form. The Wilkses sued the Agency and its president, John Manobianco, for professional negligence in failing to procure the UIM coverage despite Lesley's request "for the exact same coverage [she] had before." The superior court granted summary judgment to the Agency, finding its "compliance with Arizona Revised Statutes 20–259.01 demonstrated that [it had] fulfilled [its] duties to Plaintiffs regarding offering the UM/UIM coverage" and had "breached no duty owed to Plaintiffs." Every insurer writing automobile liability or motor vehicle liability policies shall ... make available to the named insured thereunder and shall by written notice offer the insured and at the request of the insured shall include within the policy underinsured motorist coverage which extends to and covers all persons insured under the policy, in limits not less than the liability limits for bodily injury or death contained within the policy. The selection of limits or rejection of coverage by a named insured or applicant on a form approved by the [DOI] director shall be valid for all insureds under the policy. The court decided two questions. One, it determined that the language of the statute did not mention insurance agents and thus only covered insurers—those who write automobile insurance policies. Two, the court decided that the statute did not preclude common law causes of action for professional negligence (also called malpractice) because the statute did not mention it. Generally, when the legislature seeks to preempt a cause of action, the statute or the legislative record must state the legislature's intent explicitly. The court explained that the statute provides insurance companies with a method of proving that they offered UM and UIM coverage to their insureds. Manobianco argued that the statement in the statute that "rejection of coverage … shall be valid for all insureds" precludes any action involving a fact-based inquiry regarding a plaintiff's UIM coverage. The court disagreed, stating that completing the DOI-approved form eliminates fact questions concerning whether UM/UIM coverage was sufficiently offered by the insurer and whether the terms of the offer were understood. The statute only bars inquiries related to the insurer's offer of UM and UIM coverage. The statute does not address factual inquiries related to other types of alleged negligence or wrongdoing. However, the court held that Wilks' admitted failure to read the DOI form she signed, despite the word "WARNING" in bold print and the language "read carefully before signing," could be submitted to the jury to consider during its assessment of comparative negligence. In other words, the jury could reduce the amount of damages it awards Wilks based upon her own negligence in failing to read the form, which contributed to the lack of UIM coverage. Furthermore, the court held that the jury could weigh the fact that Manobianco complied with Ariz. Rev. Stat. 20-259.01 as evidence that he acted reasonably under the circumstances.